Evo & Grace: The WanderLusts: Rosal, Bueno emerged victorious in first ever Mr. and Ms. BPO. 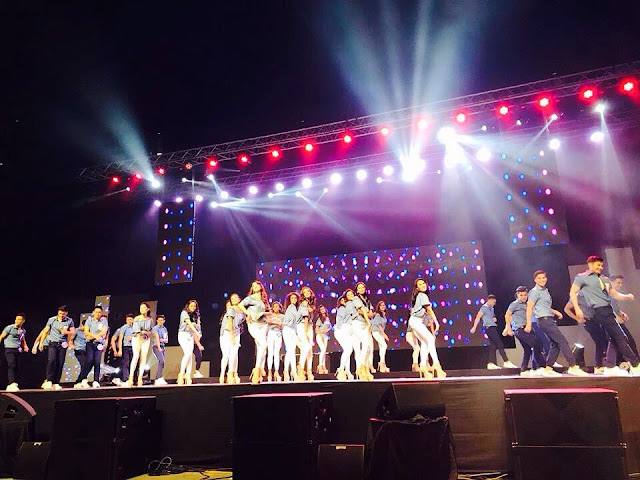 Rosal, Bueno emerged victorious in first ever Mr. and Ms. BPO. The first batch of winners, Mister and Miss BPO 2017. 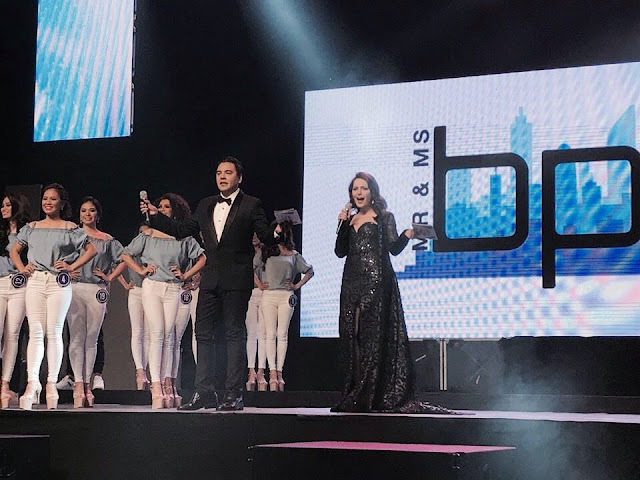 The crowd went all out to cheer for their bets to the first ever Mr and Ms BPO held at the SM Mall of Asia Arena Tuesday night, November 21, 2017. The first ever pageant was organized by Royal Chimes to give tribute to our new heroes of the generation, people who work for the BPO industry.20 males and 20 females battled it out until the very end. Part of the Top 10 for the males were Esthan Obusan, Rnel Noval, Magic Sa-Onoy, Ronnie Cadag, Daniel Sindo, Lee Bueno,AJ Simpas , Arnel Mangahas , Arthur Bilog and Iversen Vasquez.For the females, the top 10 were as follows: Jem Bohol, Andee Infante, Bianca Abejero, Airene Gogo, Janna Alcantara, Micca Rosal, Nykhi Arines, Jam dela Luna , Jaztine Balagtas and Winzel Magbuco. They all paraded in their Folded Hung Street wear and after which was the Swimwear portion and the Evening Wear Category.From the top 10, the finalists were narrowed down to 5 (males) and 5(females) who underwent a rigorous Q and A portion made even more difficult as they had to explain BPO memes given to them for 45 seconds. After this round, the final 5 were narrowed down to three. 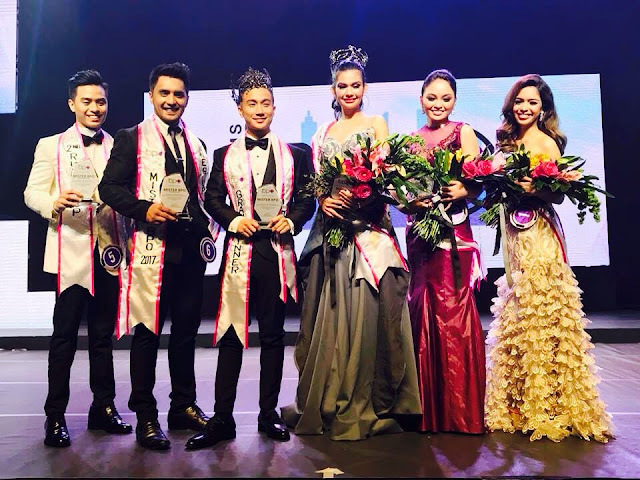 The finalists for the male were Arthur Bilog, AJ Simpas and Lee Bueno.For the females, the top three were Micca Rosal, Khristine Corpuz and Nykhi Arines. From that point on, they had a scenario Q and A portion from which the judges will base who to give the respective titles too. A set of special awards were also given: Best in Talent were: Victor Relosa (SITEL) and Jannica Maranan (VXI). Best in Folded and Hung Street wear were Brent Selma and Micca Rosal. Mr and Ms Things I like were Jonel Roncales and Janna Alcantara. Micca Rosal bags the title as Ms BPO while Khristine Corpuz was adjudged 1st runner up and Nykhi Arines settled for the 2nd runner up position respectively. Crowds favorite Lee Bueno (Teletech) takes the Mr BPO title, Arthur Bilog settled for the 1st runner up and AJ Simpas as 2nd runner up respectively. JM Rodriquez and Margo Midwinter served as hosts for the pageant. Text and Photos by Mark Anthony Cabrera. Wao it was great event altogether.I hope you guys enjoyed a lot.Your every practice seems to be perfect.There are different http://www.essaycenter.biz/case-study corners available online for publishers and your work is noteworthy.